Two amazing photos. 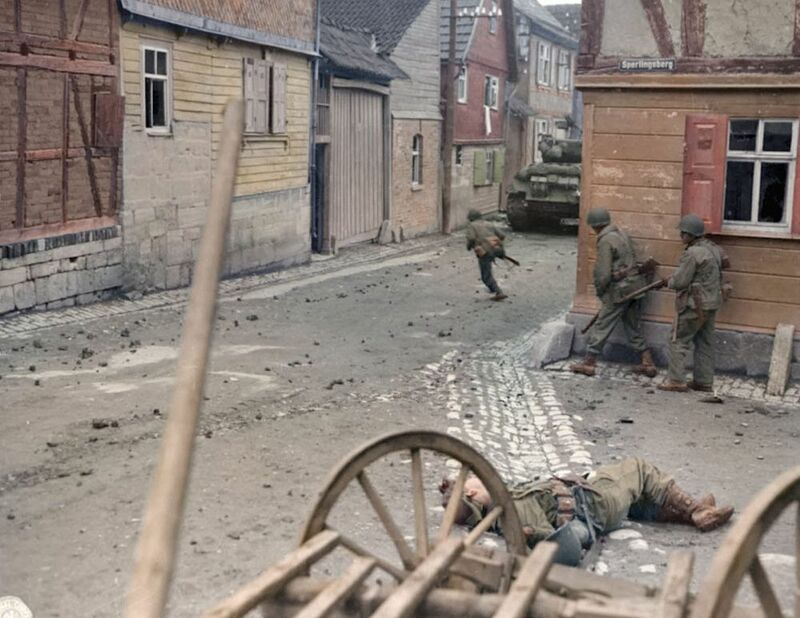 The first is allied forces pushing through the town of Oberdorla, Germany, during World War II in 1945. 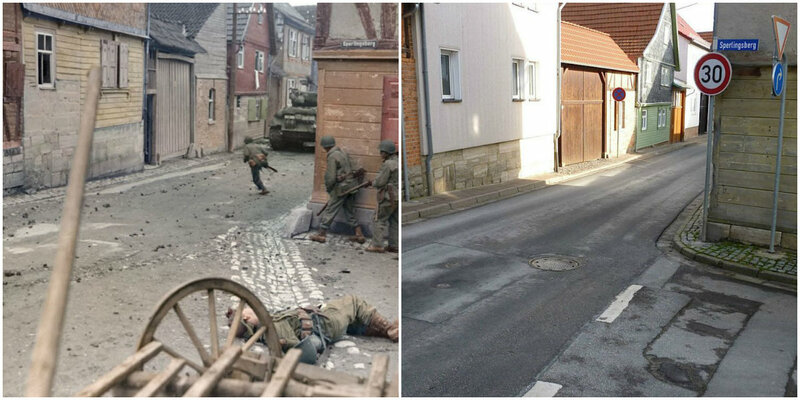 The second is the same street captured 71 years later in 2016. This is a nice colorized reproduction of an original WWII photograph. Not only it brings much more detail to black and white photo, there’s also a detailed description of the photo. Infantrymen of ‘B’ Company, 44th Armored Infantry Battalion, 6th US Armored Division while crossing the street, pass the body of Pfc. Robert Vardy Wynne (aged 19 from Texas) who had just been mortally wounded by a sniper. 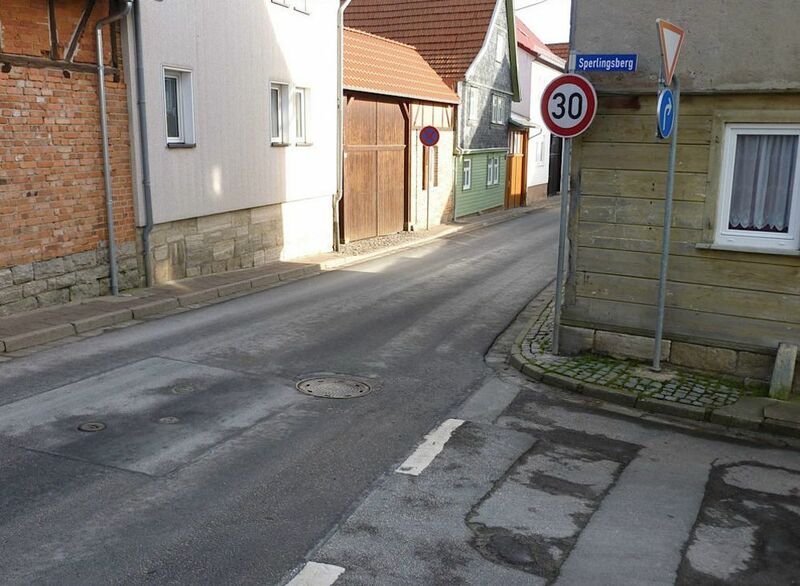 This took place on April 4 1945 in Oberdorla, Mühlhausen/Thüringen, Germany.